YOGA AND CROSSFIT: THE PERFECT PAIR Improve your performance in either Yoga and CrossFit by adding both to your routine. Would you rather be FIT or SLIM? CAN YOU STICK TO EATING HEALTHY WHILE TRAVELLING? SNACK YOUR WAY TO A HEALTHIER NEW YOU! New Year’s Resolutions: are we saying YES or NO to those? Do you like it STEAMING hot! I’m back to the real world and I’m not going to lie – it is so much harder to do in here. But I do it nevertheless- 15 mins every morning sometimes burning my incense sticks and candles – sometimes without. I did try meditation before but I wasn’t persistent and there was always something/someone to blame for not doing it. I was restless and couldn’t compose myself. Walking meditation worked better for me but it wasn’t enough. I truly believe that meditation is the key to a happy balanced life. I still can’t fully switch off and on those days when I just can’t get into it at all instead of letting all those thousands of thoughts running through my head I practice gratitude and breathing (pranayama). I also only do it for 15 mins for now up until I feel I’m ready to increase it. It’s getting easier and easier from day to day but I know it’s going to take me many more months to learn to control my thoughts. An interesting fact is that physical Yoga asanas (poses) were actually initially introduced to make you stronger in order to be able to sit still during meditation practices. Yoga then evolved into many various practices. It’s perfectly fine to have your meditation practice separate from a yoga one. Breathing (pranayama) is an essential part of any yoga practice (or at least it should be!) and it is the first step to mindfulness and relaxation. I like a good strong yoga session, but I also do enjoy a more gentle and restorative practice with loads of breathing, relaxation and a long Savasana. 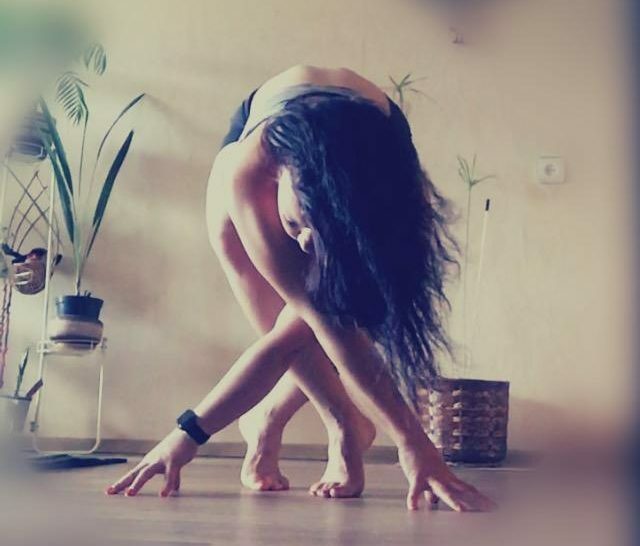 My personal practice has evolved from purely physical practice with no Savasana to incorporating more breathing exercises and actually staying for Savasana to all of the above plus more mindful approach to teaching and practicing yoga and pranayama to incorporating daily meditation, external and self education and evolving my practice daily. Mindfulness and meditation isn’t my strongest point. I wouldn’t teach meditation or narrate Yoga Nidra because that would just be fake and pretentious. But I would explain it to people and use a recording of Yoga Nidra narrated by someone who is really good at it. If something has worked for me and I learnt it from a source I would share it, but up until I feel I’m proficient at some certain practices I wouldn’t teach them. I do like working with breath and coordinating breath with movement – hence flow yoga is by far my preferred practice. I like alignment and functional aspects of Yoga asanas, but I also grew to love restorative practices. The moral is: do what you like and don’t feel you have to become a Buddhist monk and meditate for months avoiding a physical yoga practice because it’s ‘trendy’ nowadays. There’s time and space for everything: both of them are just fine as well as any other forms of physical activities. It has actually been proven that meditation facilitates a better lifestyle, reduces stress and anxiety and promotes clearer thinking. The same can be said about exercise and a physical practice. That long awaited sleep had to wait for 10 hours as for the second time in less than a year my Bali trip was affected by an erupting volcano (the same one as in 2017). We were told to go to a restaurant to get the food vouchers and have some food while waiting for information. The food wasn’t the best and everyone was knackered. At 2:20am and 2 coffees after we were told the flight might be delayed for even longer. Then the news arrived that we were to wait til 8am for any further updates. I made friends with a lovely Swiss girl and we were chatting the whole night in between walking up to the restaurant and walking around the airport. I would have been long fast asleep if I was on my own. The updates came only about 10am and we could then depart 12noon. By the time we eventually took off, we had stayed at the airport for 10 hours. All this was followed up by an 11 hour flight. I am very grateful for the fact that the flight went ahead and we were on our way to the final destination! Some people were stranded for well over 24 hours. I’m only hoping for good positive flawless holiday! Only onwards and upwards from now on! !